My position is that if a case is in court, it is no longer open for discussion as this statement is automatically sub-judice. If it is not reversible, why did the two parties have to go to court? “My humble opinion is that the procedure for approval of beaded crowns for any chief or Baale in Ibadan was not discussed at the Olubadan-in-Council level. If it was discussed, how would any of the High Chiefs bear two titles at the same time? Oba and High Chief? Abomination. 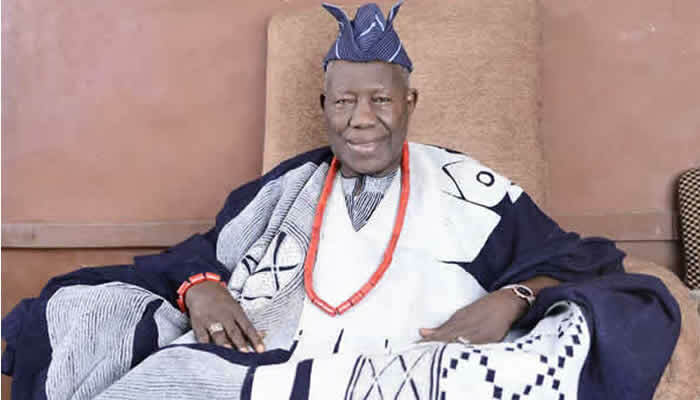 ” On the purported statement credited to Alaafin of Oyo decrying long-term reservation of Ibadan people to have more obas, Oba Adetunji advised Alaafin to recommend his high chiefs to become crown-wearing obas, if it was so desirable. The Olubadan who stated that while he was not opposed to provision of cars for traditional rulers by the State Government, he appealed to Governor Ajimobi to prevail upon the controversial kings to release the eleven months salaries of palace staff which have been withheld along with Olubadan’s salary cheques, even when the allocations for traditional councils have been released.